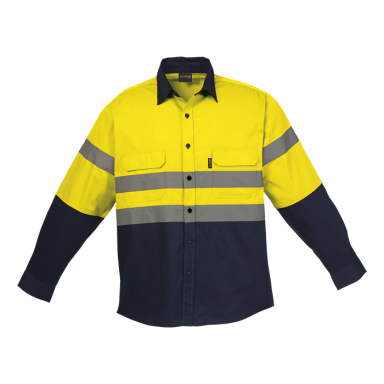 New long sleeve high-visibility lounge shirt with reflective tape across chest and arms. 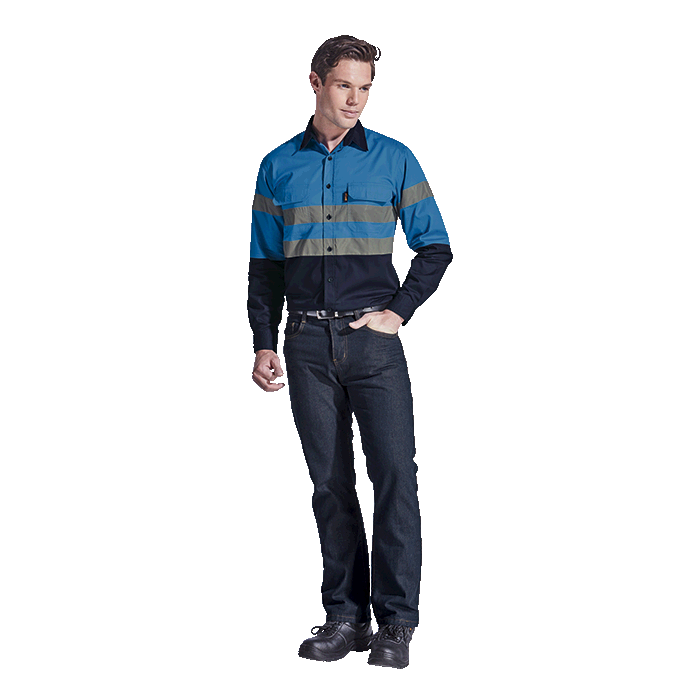 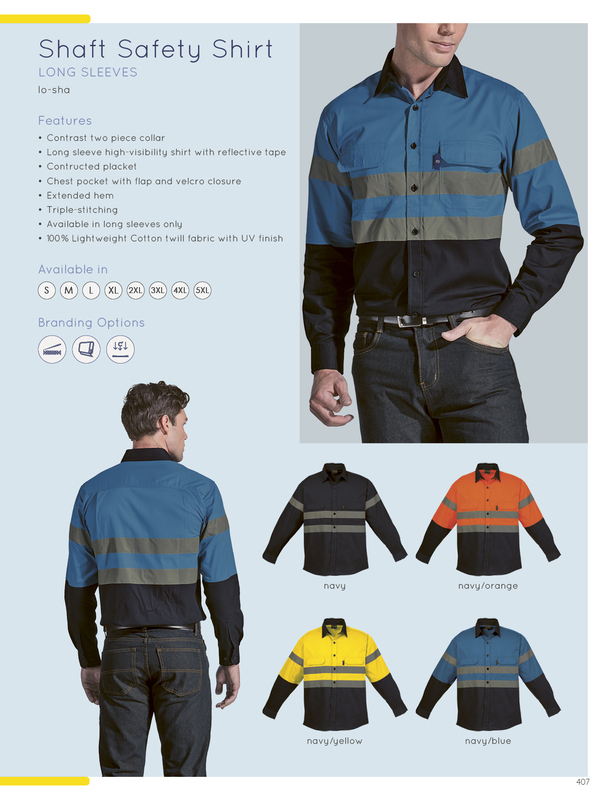 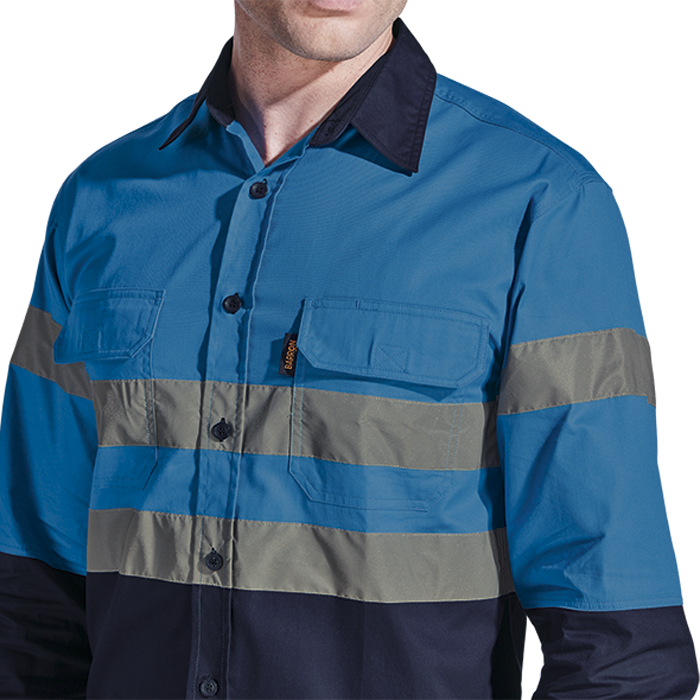 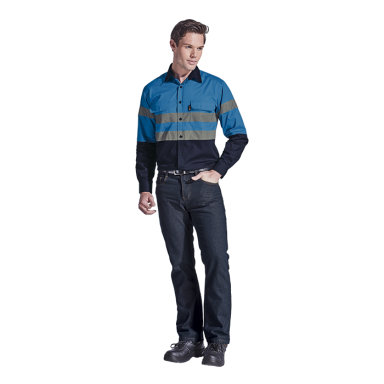 Garment features include constructed placket, chest pocket with flap and velcro closure, and extended back hem. 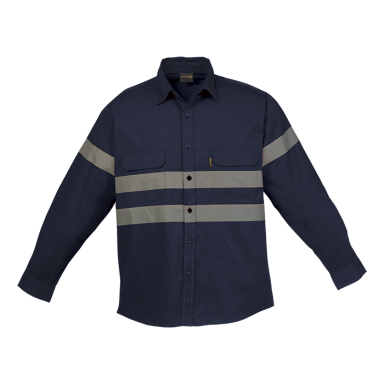 For added durability triple-stitching was used on the chest pockets, armholes, shoulder, side seams, yoke and sleeves.